Hjortsberga Gravfält is located west of the village Johannishus. 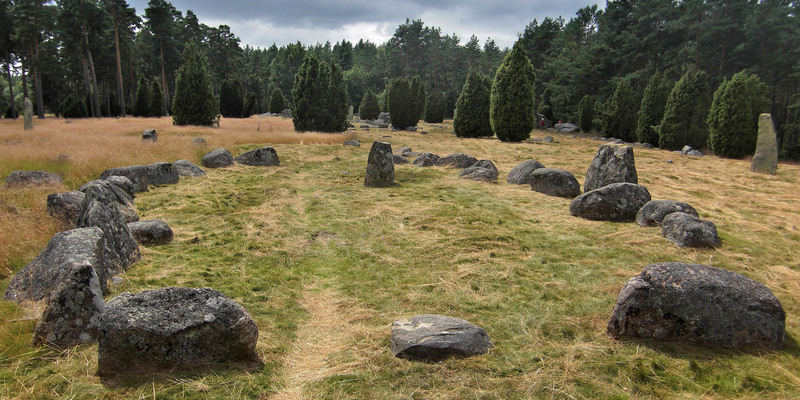 The area is considered the best preserved burial ground from the early Iron Age (400–800 AD) in the province Blekinge. The burial ground is conveniently located on the plateau of a hill at the road to Johannishus. At the northern end of Hjortsberga Gravfält stands the 12th-century church Hjortsberga Kyrka, probably the oldest church in Blekinge. Around 110 different graves in different embodiments are spread on the 280x85 meter burial ground. 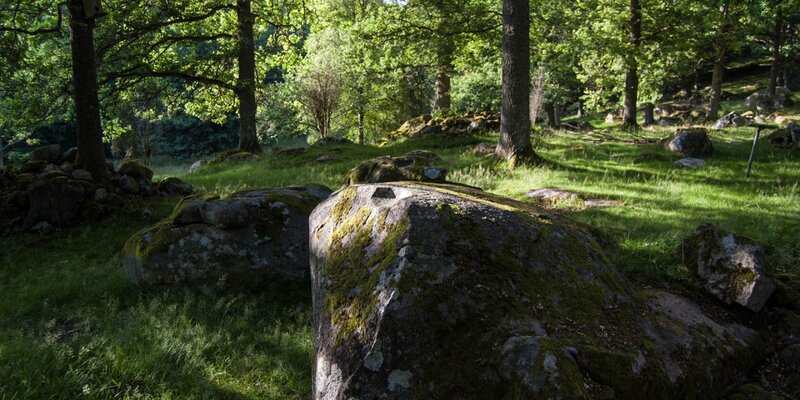 The great variety of the different forms is explained by the fact that the area was in use from 400 AD until the beginning of the Viking period, at least half a millennium. 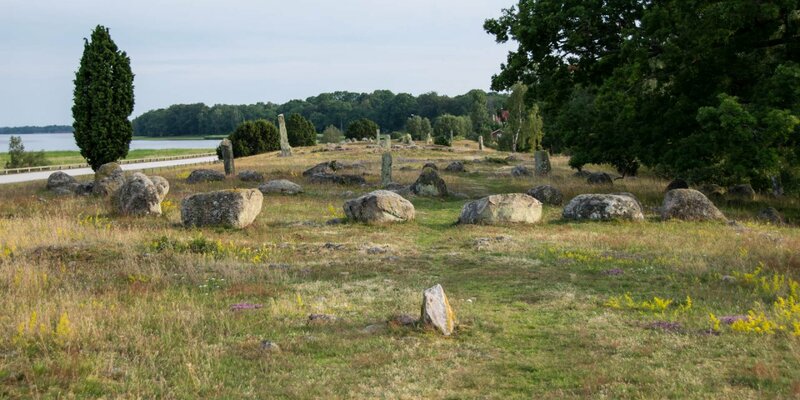 There are pretty much all forms of graves of this period, such as 19 stone ships, 13 four-sided stone settings, one oval and 5 round stone circles, 55 tumuli, several monoliths and 11 Treudd (three-armed stone settings), which are rare in southern Sweden. The presence of such a large burial ground is considered as proof for the long settlement of the region. 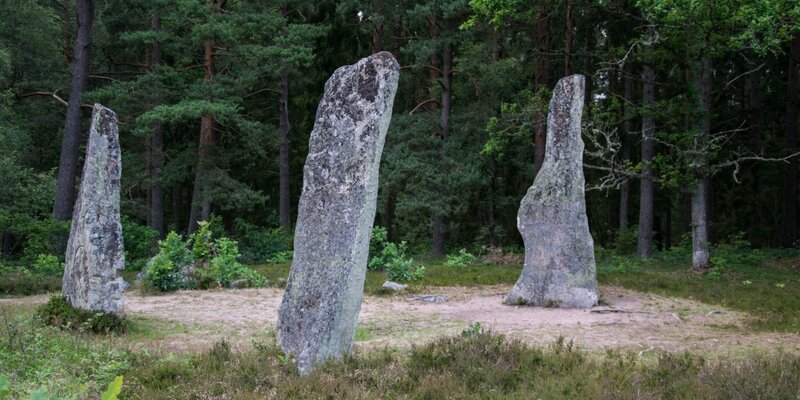 Like the rune stone Björketorpsstenen, which is located on a smaller burial ground from the same era just four kilometers away. Another proof of the early settlement is an ancient road that already took place in pre-Christian times from the coast, past the burial ground, all the way up to Småland.